Subscribe to The Champagne Warrior Newsletter. Subscribe to The Champagne Warrior! 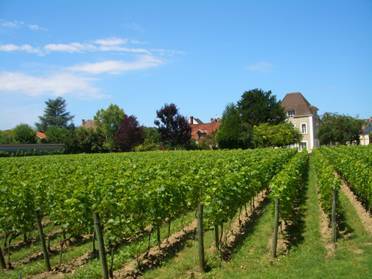 Interested in learning more about Champagne and sparkling wines? Want to know where to spend your hard earned money, which bottles to drink now, and which bottles to store away? If so, The Champagne Warrior Newsletter can help you answer these questions. Each issue of the Champagne Warrior is packed with reviews on new and past releases of Champagne and sparkling wines. If it has bubbles, it will be reviewed! The Champagne Warrior Newsletter is published four to six times a year at an electronic subscription rate of $90 per year, but anyone who subscribes to CellarTracker or is an IWFS member can subscribe to The Champagne Warrior for only $60 a year! Additionally, you can choose to subscribe for just $10 a month. To Subscribe annually or monthly simply make your choice via the box below and then select the “Subscribe” button where you can choose to pay by Credit Card, Bank Card, or PayPal™. The Champagne Warrior is delivered electronically via a .pdf file and includes access to all articles and tasting notes via the Champagne Warrior database hosted by CellarTracker. Subscriptions are auto-renewed on an annual or monthly basis (depending on your subscription type) so please use the unsubscribe button at the bottom right of this page if you would like to stop your current subscription from renewing as scheduled. As auto-renew subscriptions require regular billing, you will be required to set up an account with PayPal to automate this process. If you would like to sign up for a non-auto-renew subscription or pay by credit card without setting up a PayPal account, please click here. This link will take you to a subscription page which will allow you to simply order a one year subscription either with or without a PayPal account. Please note that in some cases it can take up to 24-48 hours for The Champagne Warrior and CellarTracker! to cross-reference each other and enable the Champagne Warrior Subscription Channel for the duration of your subscription. If you have not used the two week trial feature for the Champagne Warrior Channel in CellarTracker you can always do that instantaneously. If you would like to view a sample the highlights a small portion of what is included in a complete issue, click here.